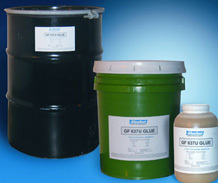 Gluefast offers Water Based Glues and Adhesives and Hot Melt Adhesives for product assembly. Nearly all of our glues and adhesives are FDA approved for use as Food Packaging Adhesives. Our water-based products can be used to glue a paper substrate to nearly any surface including other papers, metal, and various plastic items. Since water is the solvent, one of the substrates must be able to absorb the water and allow it to dry in order to form a bond. 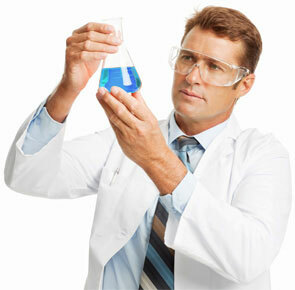 For example, when gluing paper to metal, the glue or adhesive penetrates the paper and then dries to form the bond. However, if you tried to glue metal to metal, there would be no place for the water to evaporate, so a bond cannot be formed. Our hot melt adhesives work very differently. When hot melt adhesive is heated it becomes liquid. When it cools it becomes a solid again and forms a bond. With the right hot melt adhesive you can successfully glue some plastic-to-plastic, or even metal-to-metal. You could not do this with water based glues or adhesives. You could not do this with water based glues or adhesives. For information on our hot melt glue guns and glue sticks for product assembly, click here. So, at first glance you might think that hot melt adhesive is the adhesive to choose since it bonds more substrates. However, when gluing paper to paper you will find that since the water penetrates the paper more deeply than hot melt, the bond can actually be stronger with a water-based product. If you have a particular gluing application, contact our Glue Master to see if we can be of assistance. If we cannot help you we will do our best to point you in the direction of someone who can!